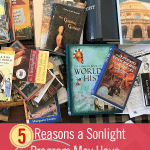 I read this article and wanted to share it with you: 5 Reasons a Sonlight Program May Have Anachronistic Books https://blog.sonlight.com/anachronistic-books-sonlight.html. 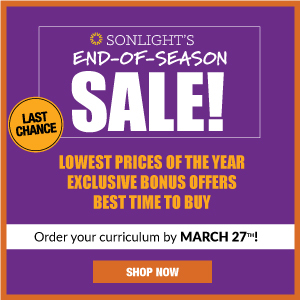 As you’re going through your homeschool year with Sonlight, you might occasionally wonder about the dramatic change in subject matter. Maybe you’re in Sonlight C, studying the Renaissance, when suddenly you have a Read-Aloud set in contemporary Manhattan. What?! Where did that come from? 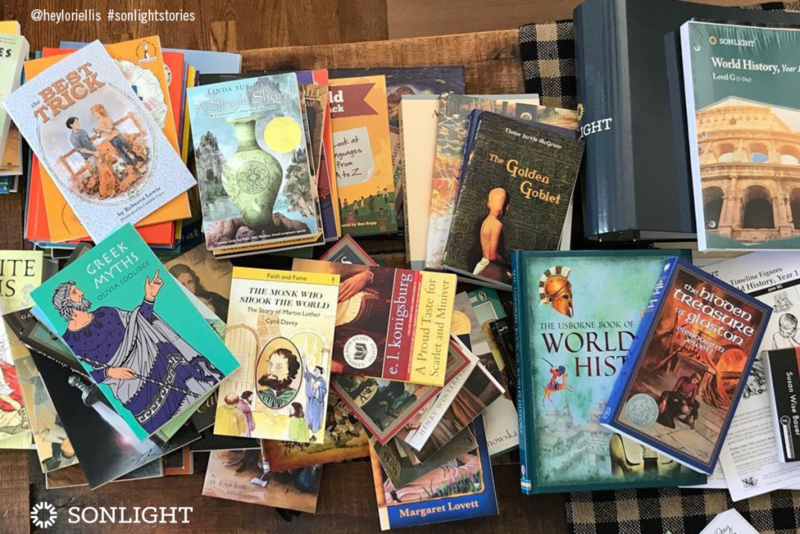 It's a great question, and this blog post will take you behind the scenes with Sonlight to understand why anachronistic books make their way into Sonlight programs. If you want to find out about WWII, you have loads of option because this is a well-represented time period. There are picture books, children’s books, memoirs, historical fiction, biographies and autobiographies. If you want to read about the Korean War, there's not much. When your children are old enough, you can read Keeping Score by Linda Sue Park (a Sonlight title in History / Bible / Literature 100). The Korean War is simply not as popular a topic as WWII is. Similarly, if you want to read about ancient Egypt, you have options: picture books, historical fiction, modern archaeology, and on and on. But if you want to read about ancient Nineveh, you can read the book of Jonah in the Old Testament. And, if your children are old enough, you might try To Ride the God’s Own Stallion (not a Sonlight title, but by the author of Sonlight title I Rode a Horse of Milk White Jade). But otherwise, there’s not much. There are some time periods that don't have quality historical fiction that's age appropriate. You’ll find this fact especially true in the early elementary years. 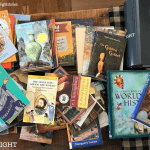 Your Read-Alouds are lovely books, but they only sometimes relate to the History. By Sonlight History / Bible / Literature (HBL) D, you’ll find the programs start to mesh significantly more than in the earlier programs. These ideas pop up in unexpected places, and in order to be conversant in a culture, you should know these basics. Beyond the basics, though, there is so much else that is interesting and exciting. Where did the Morgan horses come from? How did the cotton gin change the South? Why was navigation so difficult before Nathaniel Bowditch? How is a book published? What is the Island of Capri known for? What is the Great Wall of China and why was it made? Who was King Tut? These are all factual topics. But there are fictional classics that enrich your life as well: Charlotte and Wilbur, Mr. Popper and his penguins, Mario and his cricket in Times Square, Aesop’s stories, and so on. For the sake of cultural literacy, we include anachronistic books in Sonlight programs. Each Sonlight title is selected for its beauty, its readability, its interest, its information, its quality. So don’t be bothered when The School Story shows up in HBL C—it’s a great book, and will still teach and inform and entertain even if it doesn't match the period of history you are currently studying. But historical fiction isn’t the only good genre. And some children don’t love it. 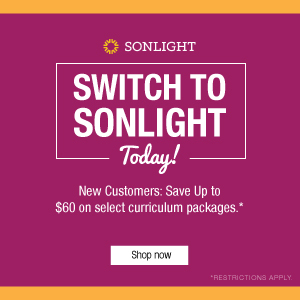 Sonlight seeks to include multiple genres every year. Because maybe your children will always love historical fiction. Or maybe they’ll grow up to prefer mysteries or memoirs. Maybe they’ll like poetry, novels, survivalist stories, coming-of-age, dystopian, science fiction, biographies, or literary works. 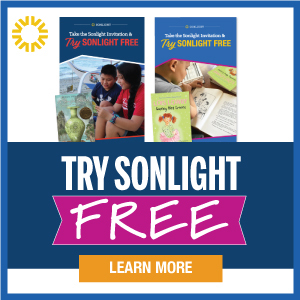 Over the course of Sonlight programs, your children will read examples of each. 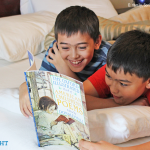 This is good not only because it opens new horizons, but because, in case your children really prefer not to read a particular genre, there will be only a few more books before they’ll get to a genre they do prefer. 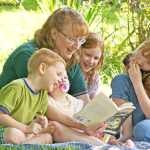 And since most children do have books they prefer, this range of genres allows children of all personality types and interests to enjoy something from the book selections. Many Sonlight authors have written many books. 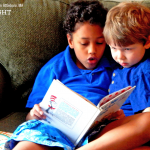 If you ever find yourself wondering, “What can my voracious reader read next?” think about what books he’s already enjoyed, then search out other titles by that author. Clyde Robert Bulla is a genius at emotionally rich books with an incredibly limited vocabulary. Andrew Clements has a large body of work dealing with the school story—early chapter books set in a school setting, or around the school year. Some years back, I worked on Sonlight's British Literature. It’s a glorious course, filled with outstanding works of literature. I learned a ton. But the interesting thing about a chronological journey through British lit is that, up through Shakespeare and beyond, all the works are poetry. Beowulf, Sir Gawain, Canterbury Tales, Shakespeare, and Milton are all incredibly beautiful, and all incredibly unique. But to read that much poetry back-to-back would be a bit overwhelming. So in British Literature, other quality books intersperse the poetry. They help with the pacing. This is true both for emotional weight, and for difficulty. 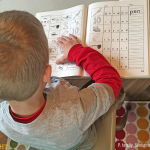 In any given program, there are books that are a bit of a stretch and books that are more easy. That’s as it’s meant to be. So there you have it—five specific reasons why you’ll sometimes find an anachronistic book in your Sonlight studies. 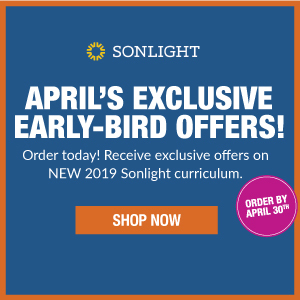 To find out more about Sonlight's unmatched Read-Alouds, and our complete book-based homeschool programs, order a complimentary copy of your catalog today.